Argentina's 20-year-old team, led by Fernando Batista, is preparing a world championship to be held in Poland from 25 May to 16 June. And with that goal, he is playing friendly in Europe. 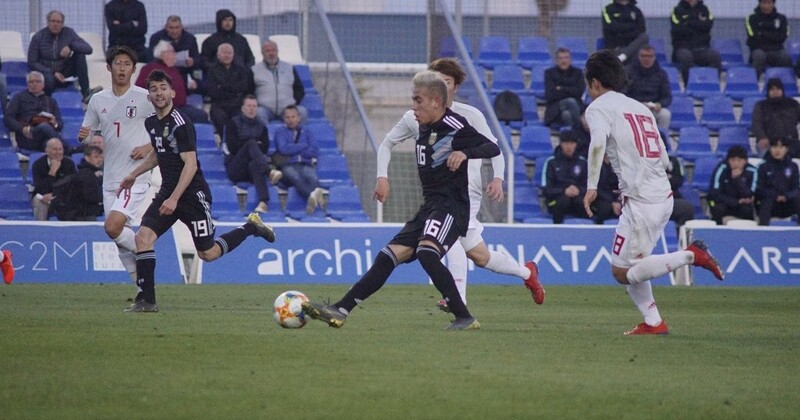 Pinatar Arena U-20, a championship cup in Murcia, won 1-0 in a match against France. But on Saturday he played again in the second game and won at least the difference in the match against Japan. The peculiarity of this case was the goal that allowed Argentina to win. Asian defender Yuki Kobayashi's defender defined his bow in front of the surprise of the goalkeeper and all his players. He was not in a hurry, there was no Argentinian football player nearby, and he could not stop the goalkeeper. He was alone in the heart of the area and put it in his goal. In the Poland World Cup, South Korea, Portugal, South Africa and the Batista team joining Group F were confirmed as 1-0. Japan is also classified as a World Cup. He will be in Group B with Mexico, Italy, Ecuador.